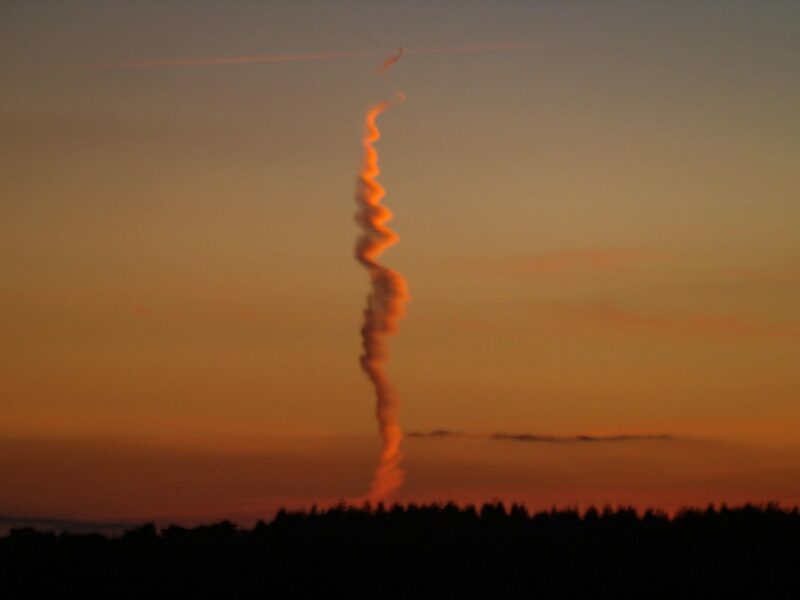 Experts have been left scratching their heads over this mysteriously-shaped spiral cloud. 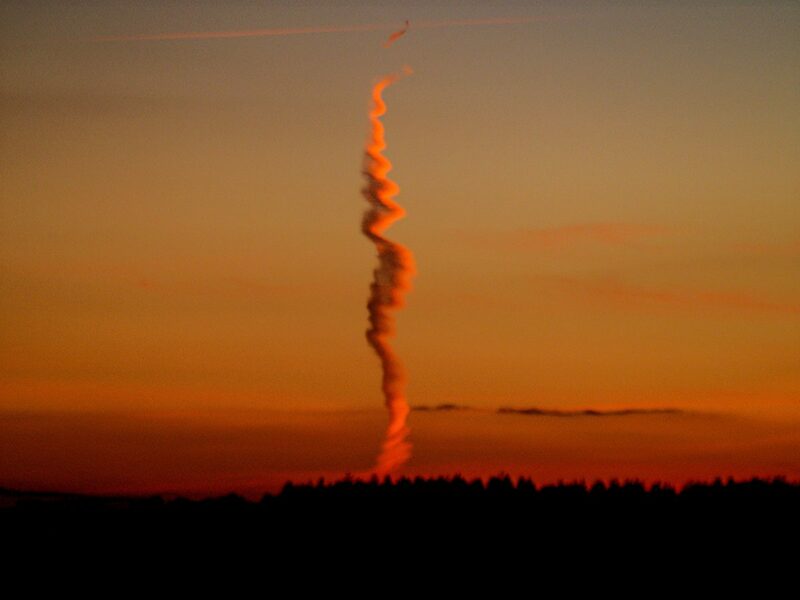 The spiral of cloud-like moisture resembles a vapour trail from a jet or even a rocket launch. But everyone from university weather experts to the Ministry of Defence have been left baffled by the peculiar phenomenon. 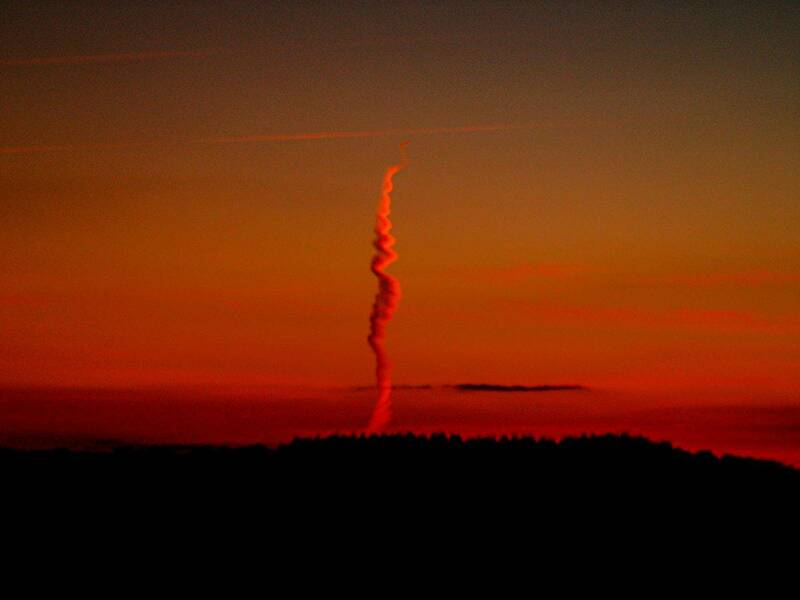 The picture was taken by David Hargrave, from Sidbury Hill on Salisbury Plain, on Tuesday night at 5pm. Walking his dogs he suddenly noticed the vapour, which appeared to have been tainted red by the setting sun. He said it was about 30 miles west of where he was, in the direction of Westbury at the northwestern edge of Salisbury Plain. Calls to the University of Bristol and Somerset Drone experts Atticus have been made, but no one knows what it is. The Defence Infrastructure Organisation, part of the MoD which operates the plains is not aware of any military training which could have caused it. Mr Hargrave, 66, said he had never seen anything like it, saying: “I haven’t got a clue what it is either – hopefully someone out there will have an answer. He added: “I saw it when walking the dogs, looking up and seeing the smoke-like air go up vertically . As it for dark we were then no longer able to see it. You can see the jet in the picture.